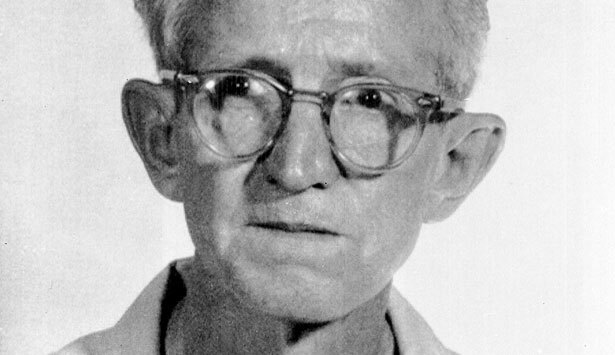 March 18 marked the fiftieth anniversary of one of the Supreme Court’s most celebrated decisions, Gideon v. Wainwright, in which the Court unanimously declared that poor people accused of crimes are entitled to lawyers and that every person “stands equal before the law.” But resistance to—and outright defiance of—this landmark ruling endures. Fairness and equality are in short supply in the criminal courts, which have incarcerated 2.3 million people, a grossly disproportionate number of them people of color. Because a major consequence of poverty is often inadequate representation, racial discrimination in the system as a whole—from stops by police, to disparities in charging, to the exclusion of blacks and Latinos from juries, to the severity of sentences—often goes unchallenged and even unremarked upon. On the same day they decided Gideon, the Supreme Court justices handed down a ruling in Douglas v. California, which quoted an earlier ruling by the Court: “There can be no equal justice where the kind of trial a man gets depends on the amount of money he has.” But in most places this is precisely the case, and it is obvious from the moment someone is arrested. Those who can afford lawyers hire them at once to help them get out of jail and start working on their defense. But many poor people languish in jail for weeks or months without lawyers. Jacqueline Winbrone was jailed after being arrested in New York because she could not make her $5,000 bail. With no lawyer to seek a reduction, she remained behind bars and was unable to take her husband to his dialysis treatments. As a result, he died. Winbrone’s charge was later dismissed. In many cases, poor people who are arrested spend more time in jail waiting for a lawyer and a hearing than they would spend if found guilty and sentenced. Many, including the innocent, plead guilty simply to get out of jail. As the Supreme Court has observed, the criminal courts are “a system of pleas, not a system of trials.” Guilty pleas account for 94 percent of convictions in state courts and 97 percent of convictions in federal courts. In many state courts, poor people plead guilty and are sentenced without lawyers. Others have lawyers who are burdened with so many cases they have only a few minutes to spend with them, and so they plead guilty after brief conversations—hardly legal representation. It is not uncommon for defendants who plead guilty to have little or no understanding of the consequences of their pleas, such as deportation, denial of business or professional licenses, exclusion from public housing and other benefits, and loss of the right to vote. There are exceptions, of course. The public defender and assigned counsel program in federal courts provide very good representation, but 95 percent of criminal prosecutions take place in state courts. Some jurisdictions have defense programs through which capable and dedicated lawyers provide high-quality representation from the initial bail hearing through resolution of the case. But many more have not established or funded a comprehensive system for providing representation. Some states have delegated the responsibility for public defense to their counties, which means the quality of a defense attorney can depend on where the case is tried. In California, for example, some counties have outstanding public defender offices, while others contract with lawyers or law firms to provide representation. Such contracts are often awarded to the lowest bidder, creating an incentive for lawyers to handle a high volume of cases and spend as little time as possible on each one in order to make a profit. One contract lawyer revealed that 70 percent of his clients entered a guilty plea at their first hearing after he spent just thirty seconds explaining the prosecutor’s plea offer to them. These contracts are the most egregious example of the unwillingness of some states, counties and municipalities to provide adequate funding to ensure fairness and equal justice. Because of inadequate funding, lawyers defending the poor struggle with enormous caseloads, without the resources to investigate cases or retain experts. Not even defendants charged with the most serious crimes are guaranteed an adequate defense. Diego Moran, who faced the death penalty in Del Rio, Texas, requested a lawyer the day after his arrest, but did not receive one for more than eight months. People have been sentenced to death at trials where their lawyers were under the influence of alcohol or drugs. In Houston, three people have been sentenced to die at trials in which their lawyers could not stay awake. Defense attorneys have been unaware of their clients’ intellectual disabilities, brain damage, mental illness, childhood abuse or other mitigating factors that could have been the difference between life and death. One Houston attorney, Jerome Godinich, has missed the statute of limitations for filing federal habeas corpus petitions on behalf of three clients sentenced to death, denying them any federal review of their cases. Godinich has not been held accountable for such gross malpractice, and he remains eligible to take court-appointed cases—and capital cases. At last count he was handling more than 350 felony cases (over twice the caseload established by national standards), including at least three death penalty cases. The Supreme Court has shown no interest in enforcing its own decision in Gideon. Twenty-one years later, in Strickland v. Washington, the Court decreed that lawyers are generally presumed to be competent and to have exercised professional judgment, setting an exceedingly high bar for proving otherwise. It also held that even if a lawyer is incompetent, the right to counsel is not violated if a judge concludes that the outcome would have been the same anyway—something that is impossible to know. The situation is bad enough that some state courts have been willing to entertain systemic challenges to bad representation. Last June, the Texas Supreme Court reversed the dismissal of a suit challenging the failure to provide lawyers for people facing misdemeanor charges in Williamson County. Only 8 percent of defendants were represented when the suit was filed. The suit was resolved in January with the county agreeing to provide lawyers. Also encouraging is the commitment of many recent law school graduates—many of them inspired and trained by Jonathan Rapping’s program, Gideon’s Promise—to improve representation for the poor by joining public defender offices. Most people are not concerned with criminal courts because they deal primarily with the poor and people of color. This must change. The shameful state of indigent defense must be held up for public examination until judges enforce the right to counsel, instead of being complicit in its denial; until prosecutors support fairness and equality instead of exploiting inadequate representation; until lawyers, with their government-granted oligopoly on legal services, take responsibility for ensuring justice for the poorest and most powerless; and until governments are shamed into providing lawyers. That is fundamental and essential for fairness and equal justice. Read Karen Houppert on the failed promise of Gideon v. Wainwright in “Locked Up Without a Key in New Orleans” (Sept. 10, 2012). Sia M. SannehSia M. Sanneh, Senior Liman Fellow at Yale Law School, is an attorney with the Equal Justice Initiative in Alabama.